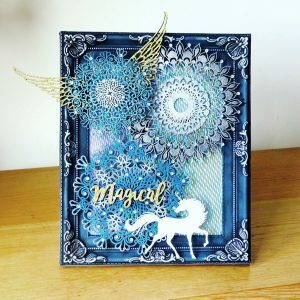 This is such an quick project to make and Sam makes it really easy because of the amazing detail in the mandalas. 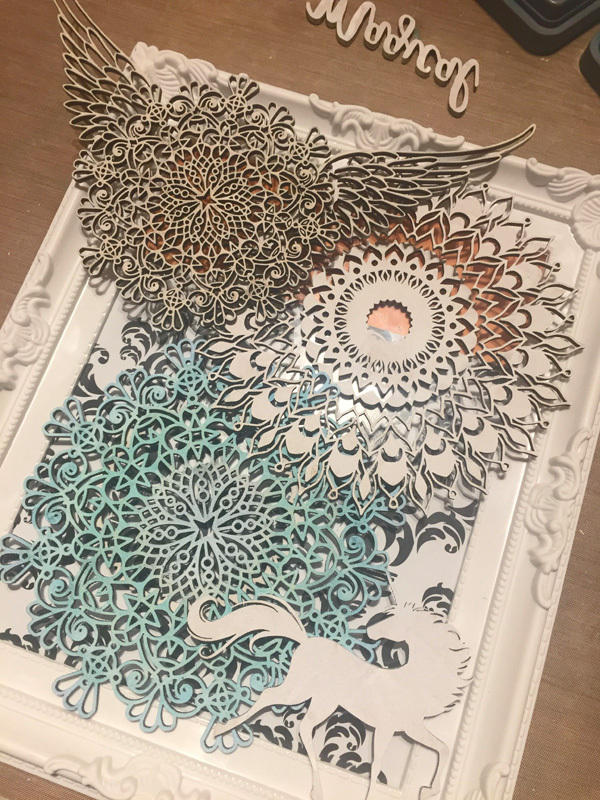 First you need to paint the frame in black gesso and the mandalas and unicorn in white gesso. Put a small amount of silver wax on your finger and gently rub over the frame to bring out the detail. Add more wax until you are happy with the effect. 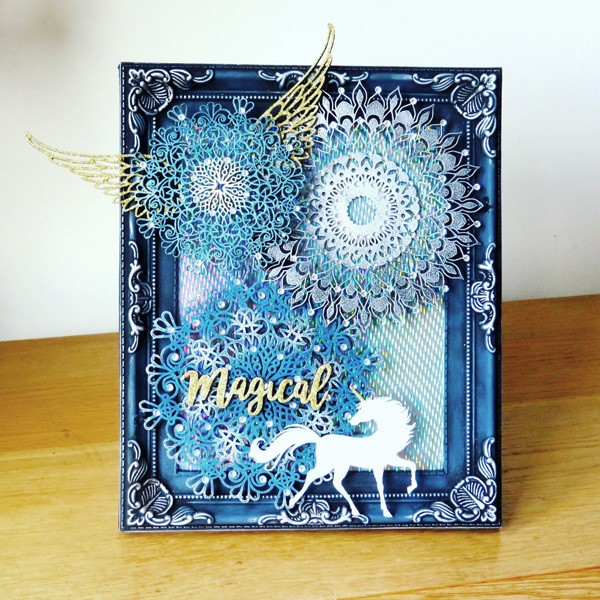 Remove glass from the frame and add a background paper of your choice. You do not need to replace the glass. Use the silver and blue waxes on the Mandalas, leave for a while and then buff with a soft cloth. 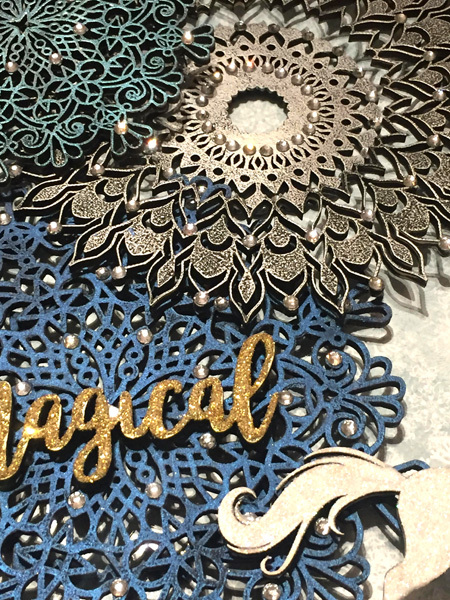 Cover the word and the wings with pva glue and then sprinkle with gold glitter. Position the mandala’s on the frame and stick in place using 3d Matte Medium or similar. Add the unicorn, wings and word and leave to dry thoroughly. To finish use a soft cloth and gently buff the waxed areas again. 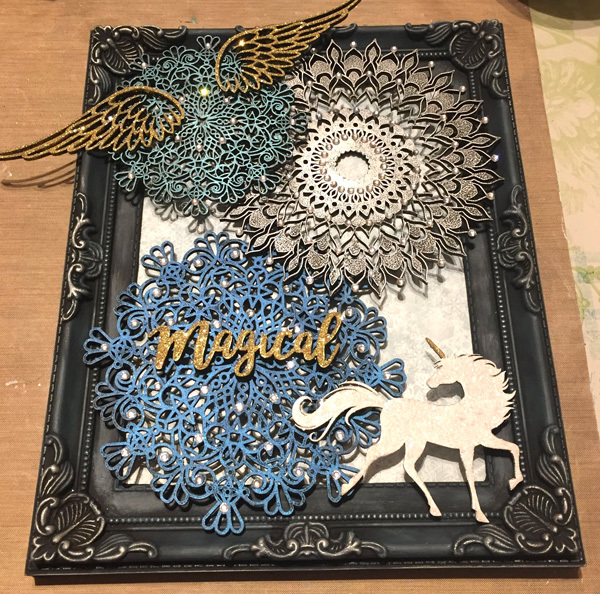 TIP: If you want quick results use a heat gun to put the frame together however if you want a more permanent frame use 3D Matte Medium as a glue.This will make a wonderful present for anyone who still believes in magic.